Enjoy cake, punch and children's activities while honoring George Washington and his wonderful legacy. 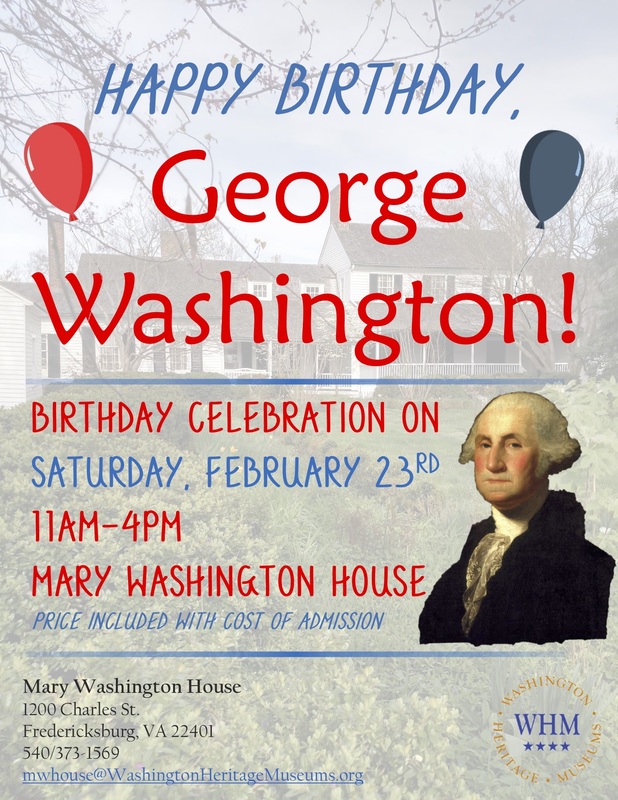 Celebrate his birthday with a tour of the Mary Washington House where you will learn about the woman who raised him. Participation is included with the cost of admission. Participation is included with the cost of admission.